For a modest outlay, the King Kong 3 delivers an IP68 certified Android Oreo phone that can handle a wilderness adventure and keep on working. There are more powerful devices available that can go deeper underwater, but not at this price. There was a time, not long ago, when a cheap Android phone had a very poor screen, limited memory, storage and a single or dual-core processor at best. Online Chinese retailer, Gearbest, has the Cubot King Kong 3 on sale for £127 ($159.99) at the time of writing. Note that, while this price includes delivery, it is exclusive of any taxes that may be levied by HMRC or the courier companies on behalf of the vendor. Want to buy tech from online Chinese retailers? Read this first. 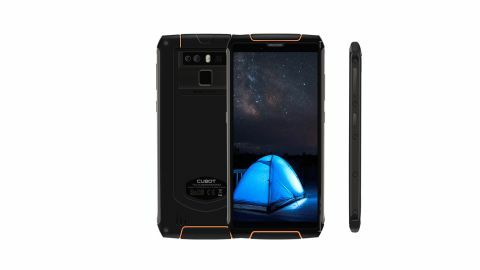 If you needed proof that those days are well behind us, just look at the Cubot King Kong 3, a fully featured IP68 waterproof phone with a 5.5-inch display and an eight-core processor. And you get all this for less than £130 (or $160) – surely there is a catch? Let’s find out if this King Kong makes it to the top of the Empire State Building, or is riddled with machine gun bullets much nearer the foyer. It seems an odd name for a phone, King Kong, given that in Asian culture, the giant movie monsters represent nature’s counterpoint to humans and our technology. But we digress – this is what Cubot called the handset, and the numbering hints that this is the third incarnation of the King Kong design to come from this Shenzhen-based company. Except that we couldn’t find the King Kong 2 listed anywhere, and Cubot still sells the original King Kong model, first launched in 2017. That was a quad-core phone with 2GB of RAM and 16GB of storage, and it was also IP68 waterproof certified. The new Kong 3 is a major upgrade from its predecessor in almost every conceivable way. Built around the MediaTek MT6763T Helio P23 eight-core processor, it comes with 4GB of RAM and a healthy 64GB of flash storage. That technology is packaged in a slim – at least by waterproof phone standards – polycarbonate and aluminum shell that looks and feels much more expensive than it is. There is an easy to locate fingerprint reader on the back, below the dual cameras, and the usual power button and volume rocker on the right edge. The left edge plays host to the SIM/microSD card slot and a programmable button that can be used to wake the phone or initiate the camera, among other things, with a single push. The Kong 3 projects a very practical persona as it offers a construction quality that exceeded our wildest expectations of what is, essentially, a budget phone. As this design has a 5.5-inch screen, it makes the Kong 3 large, but hardly excessively big. And, without accessories, the phone weighs 285g, which for an IP68 phone with a big battery, places it on the lighter end of the robust phone scales. Given the asking price we weren’t expecting the Kong 3 to be revolutionary in any noticeable way, but it’s not junk by any standards. As with most Chinese-built phones these days, the Kong 3 has a dual SIM capability. Or rather, it does if you don’t use a microSD card – and the potential for 128GB extra storage capacity which goes with that. The card slot has a rubber gasket protecting it from dust and water ingress, so it would be best if you decide which of those options you like, and then stick with it. As repeatedly opening the tray will eventually impact on the effectiveness of the seal. Cubot only claims IP68 certification and nothing else. That covers submersion in water for up to 30 minutes at a depth of 1.5m, which is enough to avoid a beach calamity, but probably not white-water rafting or diving. A downside to this capability is that the USB Type-C OTG port is covered by a rubber gasket that must be pulled out every time you need to charge. That’s slightly irritating, but the decent battery life of this device at least reduces the number of times a week you’ll need to pop that plug. What you might be doing more frequently is taking photos, and on paper, the three different cameras don’t seem at all bad. The front-facing sensor is 13MP with an f/2.2 aperture, which frankly seems overkill for selfies. On the rear are two sensors with the primary one being a Sony 16MP and the secondary a 2MP effort. The secondary sensor is included to create a soft-focus option, and we did also notice that pictures have a maximum resolution of 4,160 x 3,120, making them 4:3 ratio and 13MP. The results we saw with this camera were mixed, with images at times hitting the spot with good contrast, but other pics suffered from exposures that reduced fine details. As with many budget phones, the Kong 3 is better in strong lighting conditions and suffers in darker scenarios. You can take an acceptable picture with this phone if you are prepared to use some of the manual controls provided in the Camera app to get the best out of the hardware. However, it has face recognition, panorama, a ‘face beauty’ mode and a vignette blur mode, and it can also apply a range of colour filters at the point of capture with the standard app. Where this sensor and lens combination shines is in macro photography, where we got very close to relatively small objects and still managed some impressive pictures. We formed the view that the camera technology just needs an enhanced photo app to make better automatic picture choices than it does currently, reducing the reliance on manual tinkering to get the best results. Another typical weakness of cheap phones is the mobile communications standards that they support. The Kong 3 should work in GSM and 3G mode in most regions, including the US. The LTE support is less global, as it only offers bands 1, 2, 3, 4, 5, 7, 8, 12, 17 and 20. Therefore, the American customer is limited in terms of the mobile providers and services they can access. For example, Sprint uses bands 25, 26 plus 41, and AT&T uses 29 and 30 – none of those are accessible with the Kong 3. Conversely, AT&T also uses band 5, alongside Verizon and U.S. Cellular, and that frequency should work. The support on the Kong 3 is better than many Chinese phones, so it might be worth researching those used by your provider before making a purchase. Overall, given the cost of this phone, the features present are above and beyond what we’d expect, and make for a generally serviceable device that should have a decent lifespan if not flagrantly abused. What we don’t normally expect is for a cheaper Chinese phone to come with the very latest release of Android, but the Cubot King Kong 3 has Android 8.1 Oreo (release dated for August 2018). This release is probably one of the cleanest Android installs we’ve seen that wasn’t an official Google Nexus or Pixel-branded device, and only the camera app demonstrated any significant customization from the stock tools. With extra background processes, the Kong 3 is responsive and fluid, suggesting that the Cubot software developers finished this design some time ago, and were able to fine-tune it for optimal performance. We’ve seen the MediaTek MT6763T in other phones, like the Doogee S80, but it appears to run marginally better in this environment for whatever reason. One of those factors might be that the screen resolution of the Kong 3 is only 1,440 x 720, and not the higher resolutions that we’ve seen with 5.99-inch phablets. That’s less than half the number of pixels of a phone with a 2,160 x 1,080 resolution display, and that makes a huge difference to how agile the phone feels. Further good news is that the lower resolution doesn’t impact on many Android apps, the exception being movies that are in 1080p, as they must be rescaled down to 720p. If you intend to watch many movies, then maybe you should consider a bigger phablet or ideally a tablet. But for general use, the resolution of this phone isn’t a significant problem. The benchmark results are remarkably similar to those of the identically powered Doogee S80, although the flash memory in this device isn’t as quick, impacting on the Androbench read and write scores. The silver lining to the low storage speed is that the Kong 3 is remarkably frugal when it comes to power consumption: it managed nearly the same battery score as the S80, a phone with a 10,080mAh battery, whereas the King Kong 3 only has 6,000mAh of capacity. If left in standby mode we estimate that it would still have some power available after two weeks of being idle from a full charge, and if intensely used this phone could easily handle a full working day, and then part of the next. And as the USB Type-C port is OTG enabled, this power can be distributed to other devices if you need to pool power resources. There is almost nothing to dislike about this phone, other than some minor gripes about the rubber cover on the charging port. While its waterproof rating is IP68 and no more, that’s enough for most holiday adventures. When you combine great battery life and an acceptable camera, the King Kong 3 represents remarkable value for money, and is a decent travel phone for many international destinations.